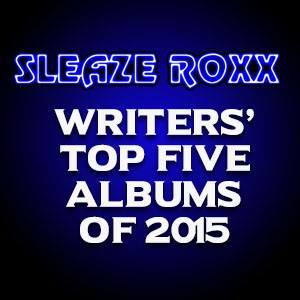 Welcome to the first ever edition of the Sleaze Roxx Writers’ Top Five Albums of the Year! While there is no question that the Sleaze Roxx editor (may it be Skid or myself) has always done a lot of the heavy lifting (or writing) for the site, Sleaze Roxx also gets many contributions from writers all around the world, particularly for album reviews and interviews. I thought that it would be fun this year for Sleaze Roxx readers to get a glimpse of what are the Sleaze Roxx writers’ favorite albums. 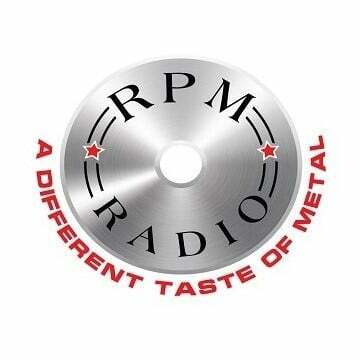 You’ll note that some of the Sleaze Roxx contributors have been writing for the site for almost a decade such as Ruben Mosqueda who has seemingly interviewed just about every hard rock/heavy metal artist on the planet, Terry Martinson (along with Mark Hovarth) who has the uncanny ability to find these little known but fantastic new albums to review, and Fat Peter who in reality does not look at all like his moniker suggests and who always provides his interesting Eastern European insights. Sleaze Roxx’s new website coincided with a number of new contributors this year including Bobby Caughron, Eduardo, Metal Headz Media and Will “Bones” Lee. Finally, Sleaze Roxx also received insights this year from actual active artists such as Lipstick‘s frontman Greg Troyan. You may notice that some Sleaze Roxx contributors are not featured below. The explanation is simple in that I set a minimum contribution threshold for anyone to be featured in the Sleaze Roxx Writers’ Top Five Albums of 2015. Accordingly, you have the top five albums from the most prolific Sleaze Roxx contributors in 2015. One notable absence of course is Sleaze Roxx’s founder and former editor Skid who declined citing that he is enjoying mainly only listening to his favorite albums from years past at this time. 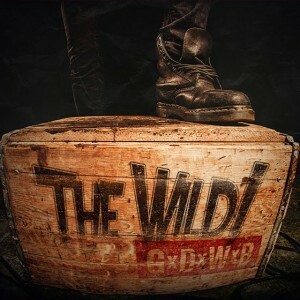 While the Sleaze Roxx contributors that made the cut were asked to only provide their top five albums of 2015 along with a write up for why their number one album got their top spot, most over delivered as I received everything from top ten lists to write ups for all five albums to ineligible entries such as a re-issued album. 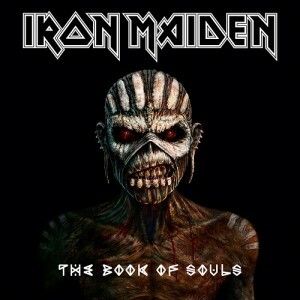 I can’t say that I am surprised as would you really expect a hard rock/heavy metal music lover to follow all the rules? I also asked each Sleaze Roxx contributor to advise of his (sadly, there were no women contributors this year…) favorite Sleaze Roxx review or interview that he submitted in 2015. In case you are wondering which is mine, there have been plenty of interesting and fun interviews that I have done in 2015 but the one that came to mind immediately is the interview I did with ex-Wolfchild drummer Tomi Nousiainen-Gunnar. Wolfchild‘s self-titled debut album released in 2006 remains one of my favorite albums to this day. Back in September 2013, I had sent a Facebook message to Tomi asking if I could interview him for Sleaze Roxx. I never heard back from Tomi until February 2015 when he advised that he had missed my Facebook message given that it went into the “other messages” section, which I had only recently discovered myself. What followed was two weeks of fun and insightful back and forth e-mails to complete the interview and which finally shed some light on what led to the demise of Wolfchild as well as the sad and publicly untold story of the last moments of Wolfchild‘s bassist and founder Jaska Koivusilta. In the process, I also made a new friend. But without further ado, here is the Sleaze Roxx Writers’ Top Five Albums of 2015! p.s. 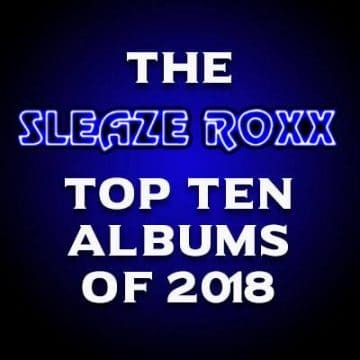 : If you haven’t already done so, check out the Sleaze Roxx’s Top Ten Albums of 2015 and don’t forget to cast your vote for the Sleaze Roxx Readers’ Top 20 Albums of 2015 (deadline is January 31, 2016). 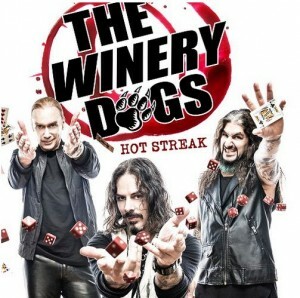 I may be really biased to anything Richie Kotzen puts out — as I am a fan of a majority of his recordings — but I find one of his strongest efforts in recent years is the Hot Streak album that he came up with ex-Dream Theater drummer Mike Portnoy, and bass virtuoso Billy Sheehan. The good thing is, of what I heard, is this was really a team effort, as all three band members were in for the writing and production. The songwriting, melodies and execution on Hot Streak are all in my opinion tremendous. I still listen to and don’t get bored with Hot Streak months after its release. The Hot Streak album takes my top spot for this year. 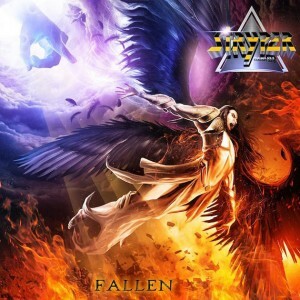 Stryper‘s Fallen is not only the best album of this past year, it’s also quite possibly the best Stryper record ever. 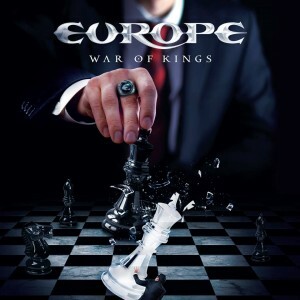 The album has everything: epic choirs, face-melting guitar playing, excellent vocal wails from Michael Sweet and, most importantly, amazing songs. Like Ian Hunter, Stryper have proved that a legacy act can put out work in their later years that surpasses the quality of their earlier releases. And yes, I put my own album at #2, but I happen to like my own stuff a lot. Go figure. 03. The Struts – Have You Heard…? We figured that Volbeat was onto something with their brand of original “Elvis-Metal” with North American audiences singing their songs word-for-word despite zero promotion. Canada’s The Wild! created their own similar brand of metal, but more of an AC/DC meets Johnny Cash with a boisterous red-neck full-tilt fun album. These newcomers exploded on the scene earlier this year with their debut GxDxWxB and scored a major label deal with eOne Entertainment. 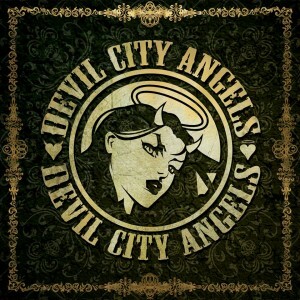 Devil City Angels are a super group of sorts that put out the album of the year in 2015. 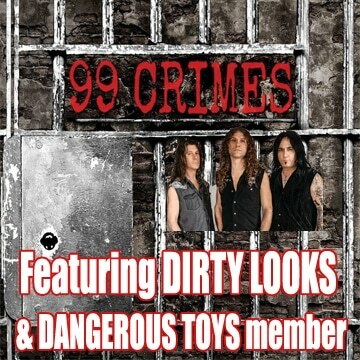 Devil City Angels are comprised of Rikki Rockett from Poison, Tracii Guns who was once in L.A. Guns, Rudy Sarzo from Ozzy and Whitesnake fame, and newcomer Brandon Gibbs (Eric Brittingham played bass on the album). 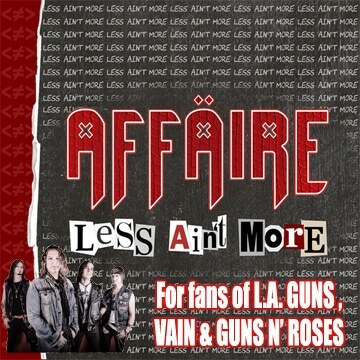 After knowing who is all in this band, one might think that this is a full blown ’80s hair metal rock album. If that is what one would expect, they would be sadly disappointed. This album is a bluesy solid rock album that is filled with great riffs, hooks, solos, and vocals. There is not one filler on this album as it is a great listen from start to finish. If it wasn’t for Rockett’s health problems (he was treated for cancer in 2015), I wonder if they would have toured in support of this release? If they would have been able too, I feel that this band would have gained a lot more exposure and could have sold a lot more records. I truly hope this is not a one off record and since Rockett is getting back to health, I hope they will finally be able to tour in support of this album. Even though I did not get an opportunity to pen my thoughts in long form for Smokin’ Aces‘ 24/7 EP, it is by far my favorite five songs of the year. A tasty smattering of fist pumping rockers about girls, drinking and fighting and an epic “December Rain” styled ballad in “You Take My Breath Away” that will have every pubescent teenager swearing that the song is written for them (think “Open Arms”). 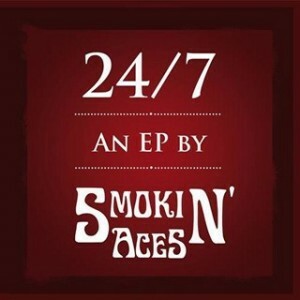 Smokin’ Aces‘ 24/7 is a must for fans of Spread Eagle meets Tesla styled hard rock and man, I cannot wait for the next installment! Being a new writer/reviewer here amongst the hallowed halls of Sleaze Roxx has been something I wanted to do for a long time and also a bit daunting as I wondered if my years of glam, hard rock, metal (and many more genres) listening experience could be put into words. I am primarily an artist so this is a different form of my creativity, which requires a whole different approach. I feel I do “okay” and I know my approach can be a bit different but everyday and every review is a learning experience. So like in my art, I am never truly happy, but it is great fun going through the process. So if I had to say just what release would be number one? It would be a tie. Blacklist Union and Diemonds are the two bands that just knocked my socks off. Those that may have read my review of an earlier release of Blacklist Union (Til Death Do Us Part) know I’m a great fan of their music. The band’s latest release Back To Momo, just continues the trend of great songwriting, hooks and to me, keeps that sound and feel of the early days, keeping it fresh and alive but also and bringing it to new ears. 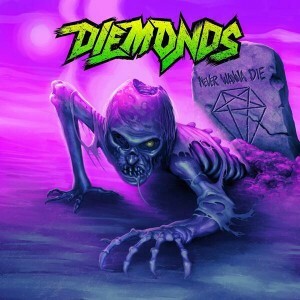 Diemonds — I was aware of them a bit from their In The Rough days but partially because of this site and the second release The Bad Pack, I really began to take notice. With their past output, their latest release and also I think with the demise (maybe) of Sister Sin, they can fill that void of rocking, headbanging tunes and songwriting. Sister Sin grabbed me with their Smash The Silence release, I just loved the combination of Motley Crue and W.A.S.P. sound they had going back then and I still play that album to this day. With Diemonds, I feel they have the same energy and enthusiasm and can be taken to the same level.